Canadian author and columnist Mark Steyn, who is also a regular on Tucker Carlson Tonight, had some comments to make about New Zealand's reaction to the Christchurch massacre just over a week on. Jacinta Ardern, the Prime Minister of New Zealand and "the world's youngest female head of government", once worked for Tony Blair, and one would like to think she has learned from the master. For her fellow PM, tragedy was an opportunity: After the Princess of Wales' fatal car crash, George Stephanopoulos enthused to Christopher Hitchens, "Tony Blair's handling this really well. This is his Oklahoma City." As Hitchens remarked, "This is the way these people think." But it's not clear to me that Ms Ardern is thinking at all. Because some mass murders are more significant than others, it was inevitable that the Christchurch slaughter would be seized upon to justify the banning of guns and speech - and not just in New Zealand. In Ottawa, the fallen Peter Pan PM is attempting to distract from his corruption scandal by raising the possibility of resurrecting the "hate speech" law I helped get repealed by the Canadian Parliament in 2013. But Ms Ardern is taking virtue-signaling to a whole new level: She has significantly raised the bar for every Islamopanderer in the chancelleries of the west - and the people seem to like it, at least according to the NZBC, where I heard some purported reporter the other day pronounce: "She hasn't put a foot wrong." 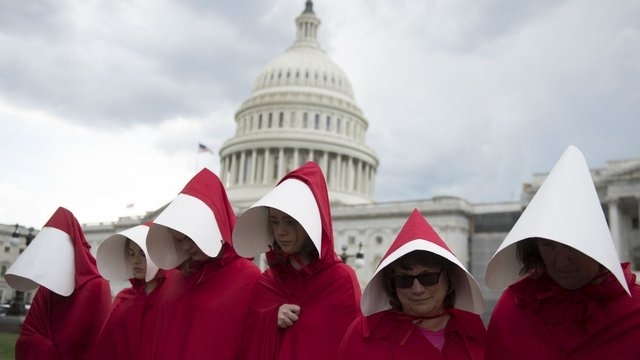 Apparently it's bad to force women into red robes and white coverings, but black robes and black coverings are totally cool - nothing patriarchal about them at all; in fact, the likes of Ms Ardern seem to get a kick out of it. Black isn't the new red. Ms Ardern also ordered the nationwide broadcasting of the Muslim call to prayer, which apparently she can do, just as the Speaker of the legislature a couple of months back axed Jesus from the daily parliamentary prayer. Meanwhile, to the list of discredited alt-right white supremacists such as Jesus and Chelsea Clinton, we must now add Jordan Peterson, whose book on "twelve rules" for life has been banned post-Christchurch by Whitcoulls, New Zealand's equivalent of Barnes & Noble. I don't believe Islam is terribly bothered by Professor Peterson one way or the other, but the left is - and so, in a touch of that Blairite opportunism mentioned above, they're happy to use one phobia (Islamo) to take out the most reviled exemplar of another (trans). Watch my interview with him while you still can. Incidentally, if Jesus is too non-inclusive for the New Zealand Parliament, shouldn't we be changing the name of Christchurch to Mahmoudmosque? Of course, Whitcoulls have since put 12 Rules For Life back on the shelf. The renaming of Christchurch likewise won't be on the cards until after the Crusaders have been renamed. And here is a similarly relevant interview he's done with Douglas Murray, the author of The Strange Death of Europe.